For over 180 years, Doulton® is the world's leader with its patented ceramic filtration technology. 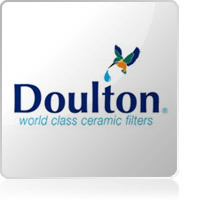 With Doulton® filters, you can easily and naturally purify water for drinking. Bottled water is expensive to buy, produces a lot of plastic waste, and the carbon footprint of transporting those bottles is enormous. 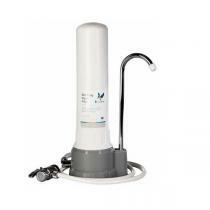 Enjoy a clean and healthy water at home! Its ingenious design allows water to pass from the outside to the inside, leaving the dirt particles on the surface of the ceramic. Moreover, all essential minerals which are beneficial to health are retained. All stages of the Doulton® drinking water filter production process comply with ISO 9001 requirements. 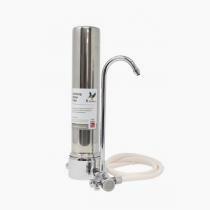 Simple to install, to use and to maintain, Doulton® water filter need no power to work. Doulton® products are a green and cheap alternative way of drinking good quality water!